I’ve been intrigued with making small quilts lately because way back in the 1990’s, I received a couple of those little baggies from Keepsake Quilting filled with 1.5″ fabric samples. Being a packrat, I never threw them away, and they resurfaced a few weeks ago. It was a lot of fun separating those fabric samples into light, medium and dark value piles. 56 little pinked fabric pieces were fused to a quilt batt, then I hooped the 2 layers and sewed out a dragonfly embroidery design from my Pfaff Creative Sensation with rayon thread. Removed it from the hoop, added a piece of muslin for the quilt backing, and free motion quilted it with cotton thread. 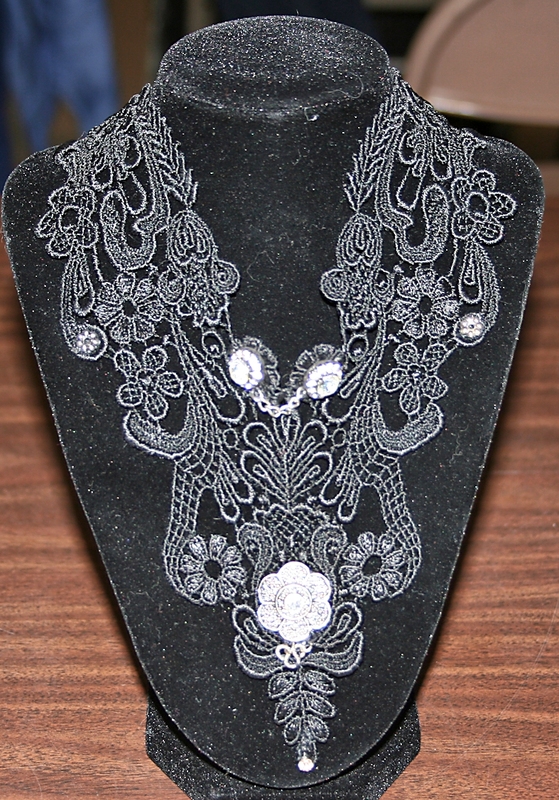 The cotton thread blended with the background beautifully, and made the rayon embroidered dragonflies stand out nicely. 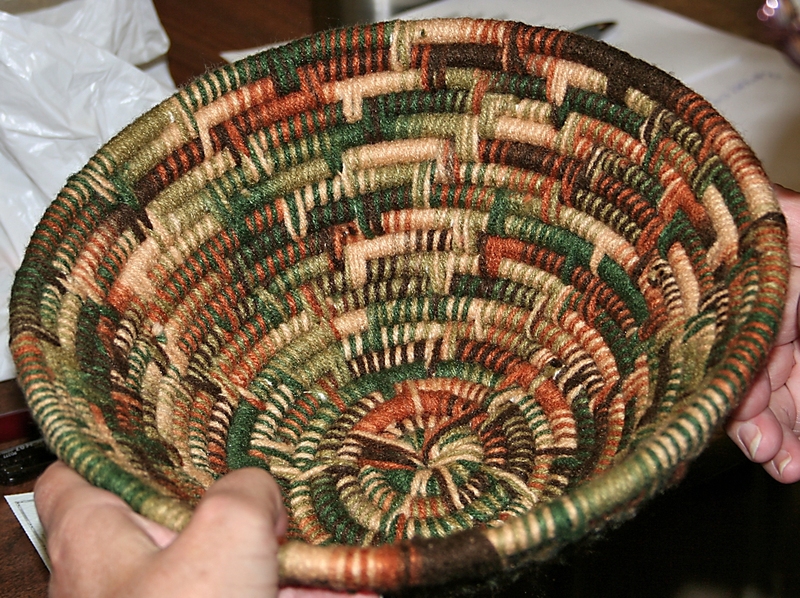 The piece was trimmed to the size of a piece of paper, and I used a built in stitch on my sewing machine to sew around the edges. Last but not least, my name was machine embroidered on the bottom right edge. This time I placed a piece of white fabric down and sewed each little square onto the white fabric with a little stabilizer underneath. 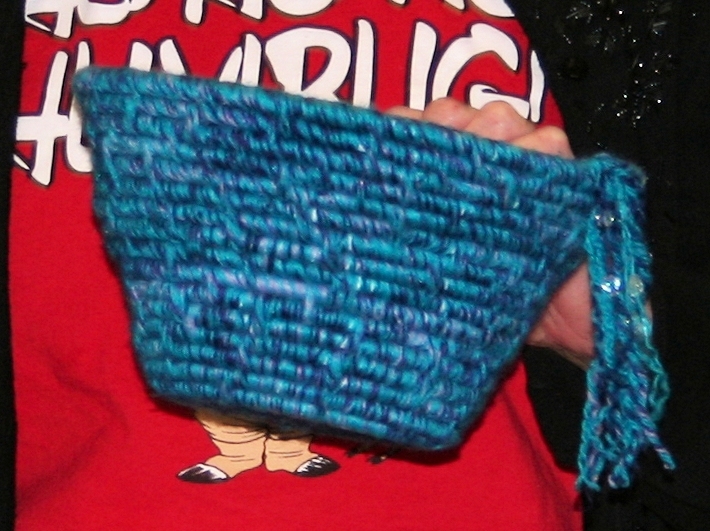 You might be able to see the black thread I used to stitch all the squares in place. A layer of batting, was added, and I machine quilted straight lines vertically and horizontally. A gorgeous piece of black velveteen was added for the backing, and then I couched a yarn down around the edges, trimmed the quilt to the edge of the couched yarn, and sewed two rows of zig-zag around for good coverage. There was still a little white showing, so out came my trusty black Sharpie marker and voila, the white disappeared. This quilt is not finished. It’s too bare naked looking for me. I’m planning on adding some silver shapes in some of the squares – maybe some washers, maybe some beads, but definitely something. My name will also need to be added. I’m not as pleased with this one. I wish I had left more white fabric around the perimeter. 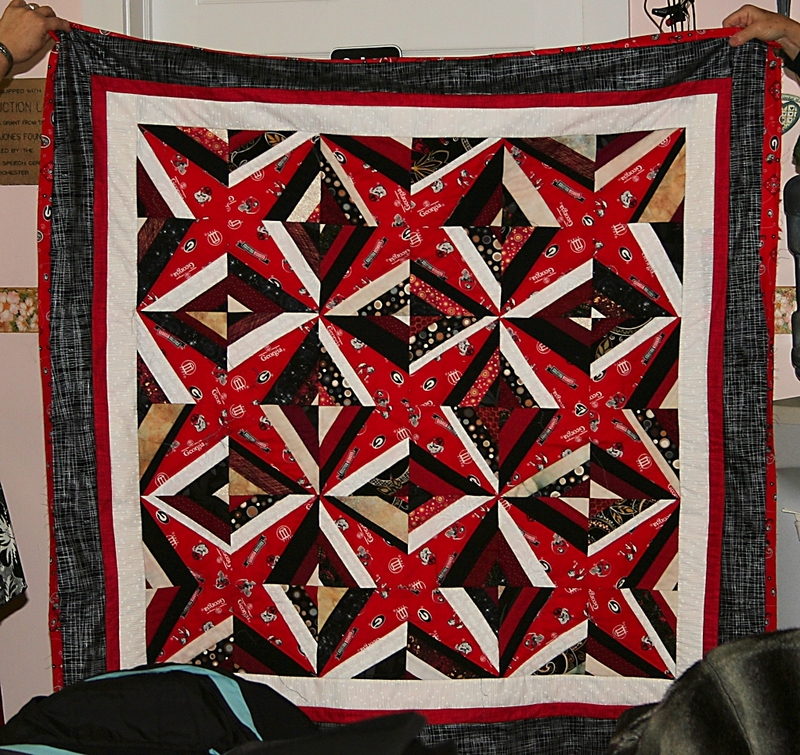 The proportion is off to my eye, so now I know what not to do for the medium value quilt. And there will be a medium value quilt in my future. Don’t know when, but using those little pinked fabric squares in a quilt is like eating potato chips. You can’t stop at one. My husband and I are blessed to live less than an hour away from our daughter and son-in-law, and they hosted the family Christmas gathering yesterday. That photo was taken in their great room with no flash, so the warmth of the house inside could be contrasted with the snowy, cold beauty of the forever wild area behind her home. Once the rest of the family arrived, there was no time to take photos, as we were enjoying each other’s company, the fine meal, opening gifts, then singing Christmas songs while my niece played her guitar. As we finished singing Away in a Manger, my sister commented that she felt a connection to how it must have been when baby Jesus was born, as this was the first time we sang the song with animals in the room. My daughter and son-in-law have two dogs who were lying peacefully by our feet as we sang. It was a magical moment, and one all present will treasure forever. My wish for all my readers, is that you all have some magic enter your lives. 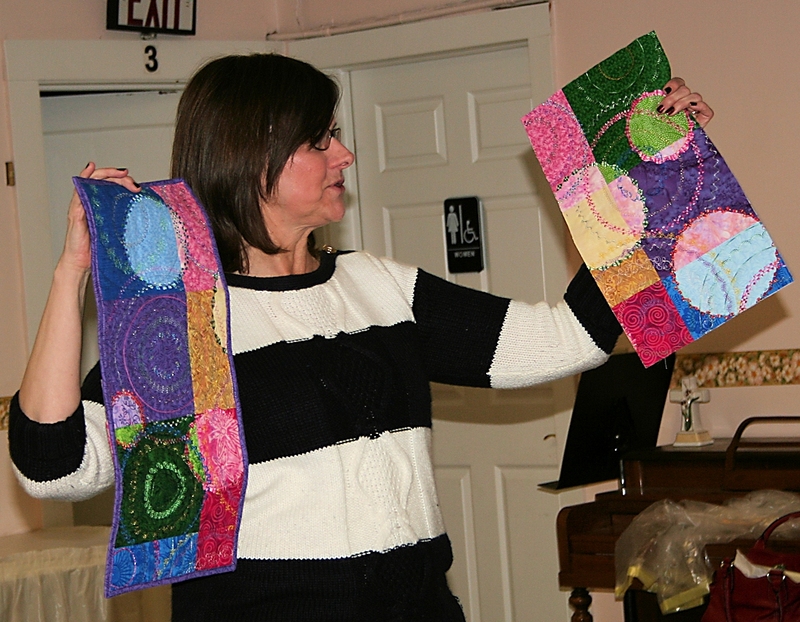 Last week I attended my monthly Rochester Area Fiber Arts meeting, and we had outstanding Show and Tell. 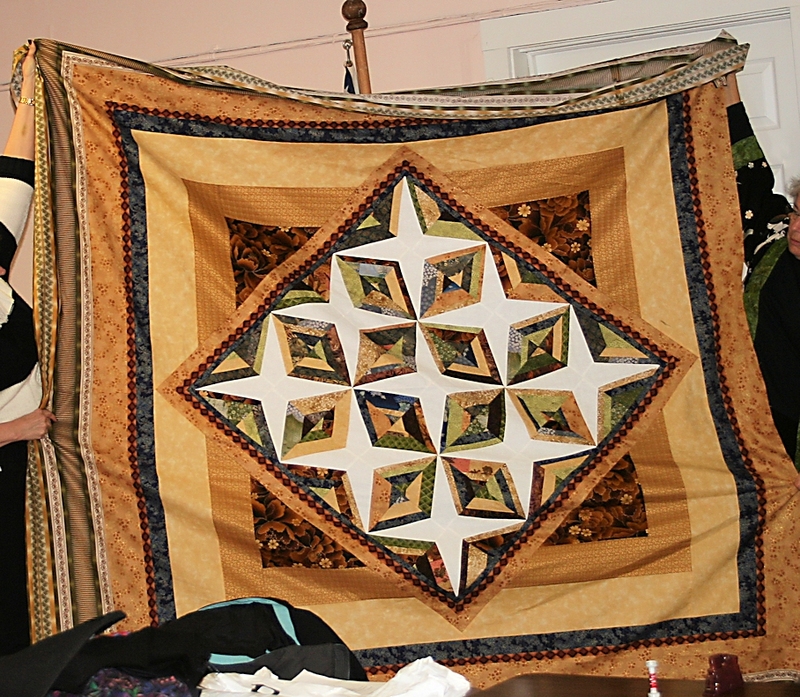 Those of us who are participating in an upcoming show “Nature Behind Bars” had brought our quilts, and they were absolutely stunning. It was quite impressive, and I can’t wait till I can share pictures with all of you. Not quite yet though, as it is a judged show. 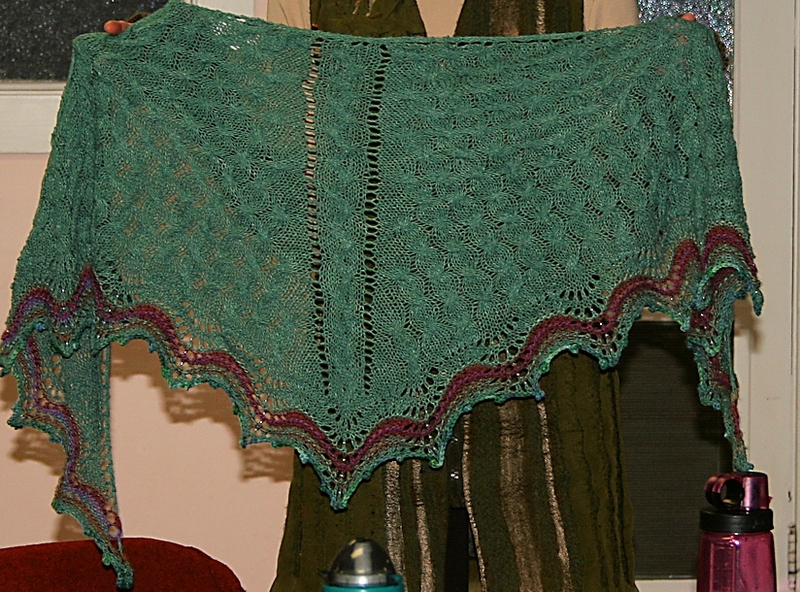 Nobody would know that the stripes on the shawl edge were a matter of necessity. Anne ran out of yarn, but luckily, had very nice coordinating yarn in her collection. She did a magnificent job with color placement, didn’t she? Those are little sewing tool carriers. 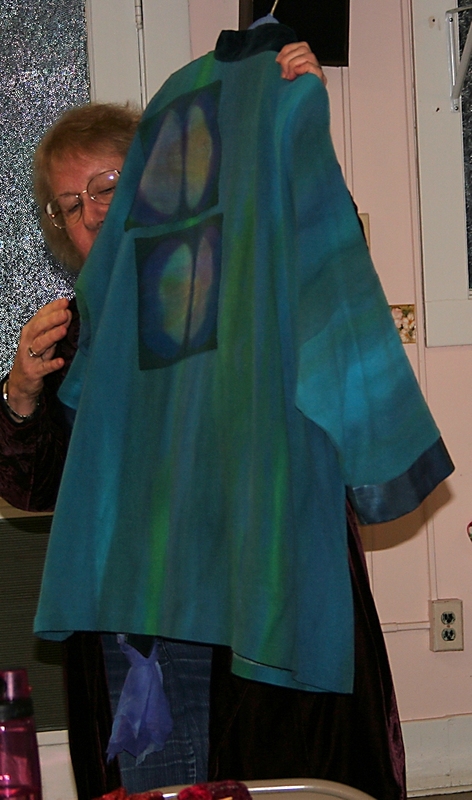 Another member, Margaret, made some for herself, and genersously shared the pattern with us. 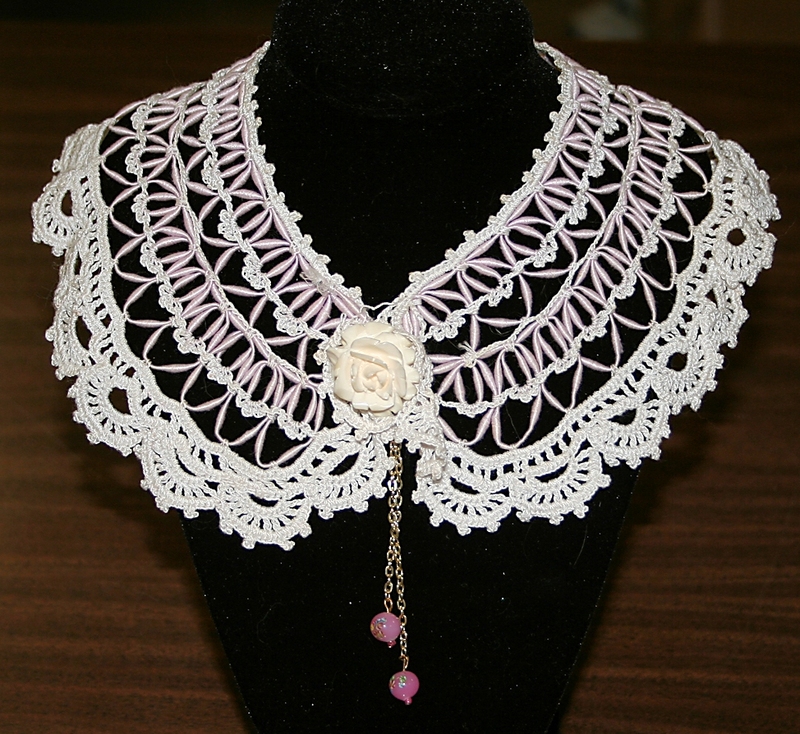 Terryn likes to purchase vintage laces, and uses them to create one-of-a-kind jewelry. She has a website where you can see more of her pieces. We had a gift exchange, followed by a potluck meal. I do so like it when we all eat together. There is something about sharing a meal with friends that reinforces relationships. 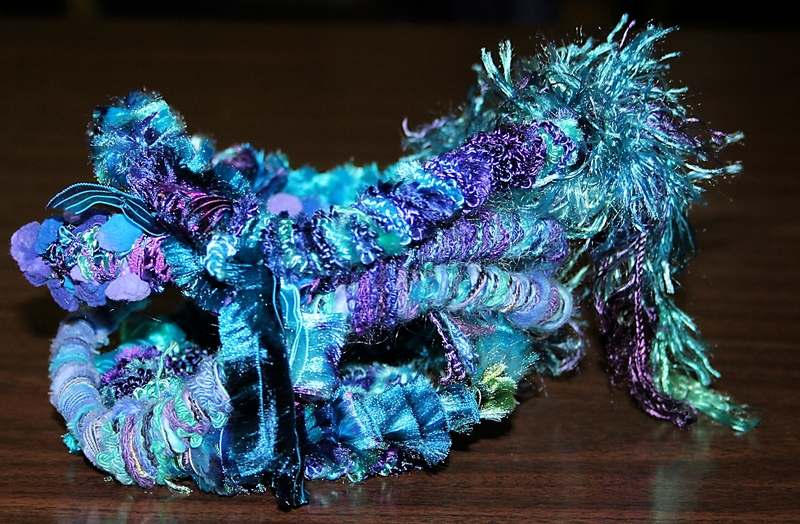 I went home happy, inspired, and with some extra goodies for my fiber art. It doesn’t get any better than that.